For the Least of These comprises a collection of short essays. Its purpose is clearly articulated by Arthur Brooks in the first paragraph of the Foreword: “The Christian Gospels make it abundantly clear that Jesus called on us to care for the poor. What is not at all clear, however, is the best means by which Christians living in a modern, industrial society … can and should carry out the Lord’s directive. This volume takes on the challenge of beginning to answer that question” (page 7). The book seeks to fulfil its task through twelve chapters grouped under three headings: “A Biblical Perspective on the Poor”; “Markets and the Poor”; and “Poverty Alleviation in Practice”. As might be anticipated by those aware that its editors are Vice-Presidents of the Institute for Faith, Work & Economics, its basic thesis is that a free market economy is the best foundation for the alleviation of poverty. The authors are careful to avoid suggesting that the market automatically provides the solution or that the market is in some way an end in itself but they see it as having inherent potential. As Robert Sirico puts it in his chapter, “The price system in a free economy does not provide a moral foundation for a society. It does not remove opportunities for ill-gotten gain. What it does do is beat every form of socialism at generating moral socially beneficent options for escaping poverty” (page 179). Negatively, the authors take issue with what Jay Richards (in the Conclusion) calls the “untutored intuition” that “if there are some rich people and some poor people, we can cure poverty by taking some of the wealth of the rich and giving it to the poor” (page 247). It is suggested that both government action (e.g. foreign aid) and some charitable activity (e.g. some gifts by churches to support people in the third world) is misconceived, if well meaning. Positively, the promotion of trade and enterprise is advocated as the best long-term solution to poverty. 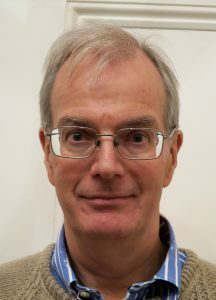 For example, Brian Griffiths and Dato Kim Tan suggest that “Intentionally building a new factory close to a slum, creating jobs, and contributing to the local economy through its monthly wage bill, is far more effective in tackling poverty than all the CSR activities that companies can ever do” (page 145). Most of the book is relatively high level. There are some interesting specific proposals for change. For example, Griffiths and Tan suggest that it is illogical to allow tax deductions for donations to charity but not to apply the same tax incentives to impact investing that builds social enterprises among the poor (page 151). However, proposals of this kind are few and far between. This is a pity since the inclusion of some more would have improved the book. In particular, the book’s suggestion that a lot of government action has produced drug like dependency cries out for proposals as to how the patient should undergo detoxification without dying in the process! On the other hand, the authors might legitimately respond that it is necessary to win the conceptual battle at the macro level before moving to the detail and that this is a small book devoted to that conceptual battle. Furthermore, by its very nature, a market based approach is likely to involve a multitude of approaches informed by general principles rather than large over-arching policies centrally implemented. That, indeed, is one of its advantages. Of course, the essay format has some drawbacks. In particular, as might be expected in a book with fourteen different contributors, the arguments are not developed in a linear manner, the chapters overlap and not all of the arguments are consistent with one another (e.g. there are differences of view as to how bleak or otherwise the outlook for global poverty really is and different levels of optimism are expressed regarding micro-finance initiatives). In addition, some of the authors have tried to cram too much into their chapters, with the result that they are longer on assertion than argument and adopt language which, at least to UK ears, is unduly polemical (e.g. Jay Richards won’t win many friends by suggesting that Lyndon Johnson’s “War on Poverty” could just as well be called the “War on the Poor”, page 250). Most readers will want to take issue with at least some of the arguments that are advanced, although they may not agree which arguments should be challenged! For example, David Kotter’s distinction between “wealth” and “riches” (page 60) and Robert Sirico’s suggestion that something is disordered “when it is imbalanced and disregards reason as well as the mandate of scripture” (page 176) are contentious interpretations of the bible. More generally, with the exception of Brian Griffiths, Dato Kim Tan and Richard Turnbull, all of the authors are based in the USA and the book has a clear US perspective. Indeed, some of the chapters relate almost entirely to the US experience (e.g. Anne Bradley’s chapter on Income & Equality). This US experience is important and interesting. There is much to learn from it. However, it would be good to consider other perspectives. That said, each author contributes something worth thinking about and some of the contributions are very good: the chapters examining historic attitudes and actions in the UK and the USA (by Richard Turnbull and Mark Isaac, respectively) are particularly interesting since they allow the past to challenge contemporary attitudes; Art Lindsley’s short chapter on wealth redistribution comprises a concise demolition of superficial interpretations of the Old Testament Jubilee laws and of the practices of the New Testament Church; and Marvin Olasky’s chapter on the US welfare system, although in some respects perhaps over journalistic, raises a number of issues that deserve careful consideration. For the Least of These is not a book for those looking for careful engagement with academic debates. Those looking for a systematic explanation of the potential of the free market to alleviate poverty should also look elsewhere. However, it is well worth reading. Few readers will come away without being challenged in some respect and the range of subjects covered should be a spur to further reading and thought. 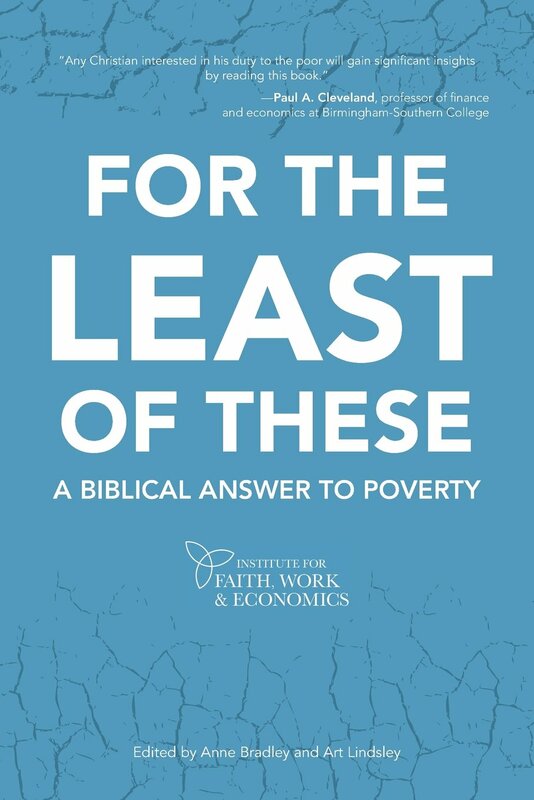 “For the Least of These” was published in 2014 by Zondervan (ISBN – 10: 0310522994). 252 pages (excluding notes and glossary). Richard Godden is a Lawyer and has been a Partner with Linklaters for over 25 years during which time he has advised on a wide range of transactions and issues in various parts of the world. Richard’s experience includes his time as Secretary at the UK Takeover Panel and a secondment to Linklaters’ Hong Kong office. He also served as Global Head of Client Sectors, responsible for Linklaters’ industry sector groups, and was a member of the Global Executive Committee.